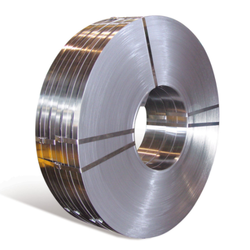 We are a leading Manufacturer of carbon steel strips and high carbon steel strips from Mumbai, India. Steel Corporation is one of the noted manufacturers and exporters of Carbon Steel Strips that find a vast application in making springs, spacers, clips, washers, pins and inserts. Offered in good finishing, these ruggedly constructed steel strips are suitable for bending and forming purposes. Checked for their flawlessness before the final transmission, these carbons steel strips are vastly demanded. Owing to the support of our experts, we supply a superior range of High Carbon Steel Strips that ensures durable finishing, rust resistance, reliability and high quality. 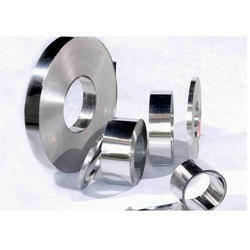 Our ranges of these find numerous applications in various industries. We offer these high carbon steel strips in different sizes, grades and specifications in accordance with requirement of the clients. These have excellent hardens property and high yield Strength. Clients can avail these at competitive prices. Looking for Carbon Steel Strips ?